UPPAbaby uses their real-life experiences as parents as inspiration to create high-quality, innovative car seats and strollers without sacrificing style. 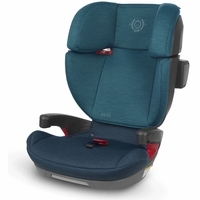 They know how important it is for child transportation to be light and easy to use; they want to make sure that traveling with your little one is always fun, never stressful. For real-world parents trying to roll with the massive changes that come with a second (or third!) 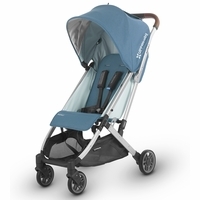 child, UPPAbaby strollers were created with you in mind. 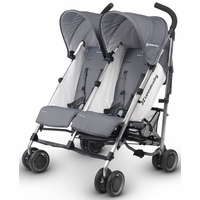 These strollers are meant to fit seamlessly into the lives of busy, style-conscious parents as their families grow. 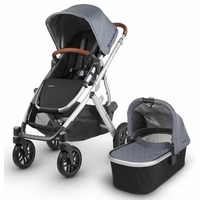 UPPAbaby strollers, like the Vista, Cruz and G-Link are ready to meet baby’s needs the moment she arrives. 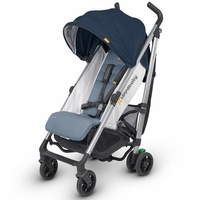 From being able to accommodate bassinets to adjusting to transport multiple children from infant to preschooler, there’s a stroller to give you exactly what you’re looking for. Even better, and true to the company’s standard of not only meeting but exceeding safety requirements, the UPPAbaby bassinet is safety approved for overnight sleeping — making it an ideal sleep solution for a trip to grandma’s. 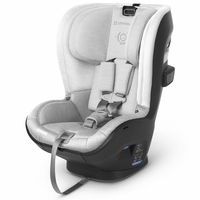 To round out a complete transportation system, UPPAbaby car seats offer top-rated safety, ease of installation, and no-hassle adjustments as your baby grows. 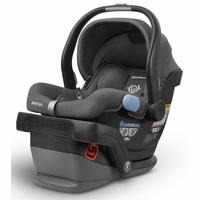 The Mesa car seat received a 5-star rating — the highest government rating available — for ease of use, and it was the first to pass government-proposed standards for side-impact safety. All UPPAbaby car seats work seamlessly with UPPA strollers and come with installation technology so intuitive, it only takes ten seconds to know when your car seat in installed correctly for maximum safety. 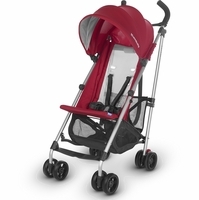 While UPPAbaby strollers and car seats are impressive in their technological innovation, they don’t sacrifice beautiful, eye-catching design. 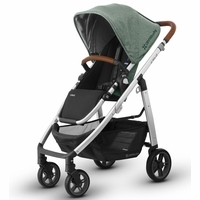 UPPAbaby strives to create stylish products, so these transportation essentials sport clean lines, sleek maneuvering, and cunning accessories that make them a breeze to use and a visual stand-out. For the growing family on the go, there really is no more versatile or sophisticated transportation system than UPPAbaby.